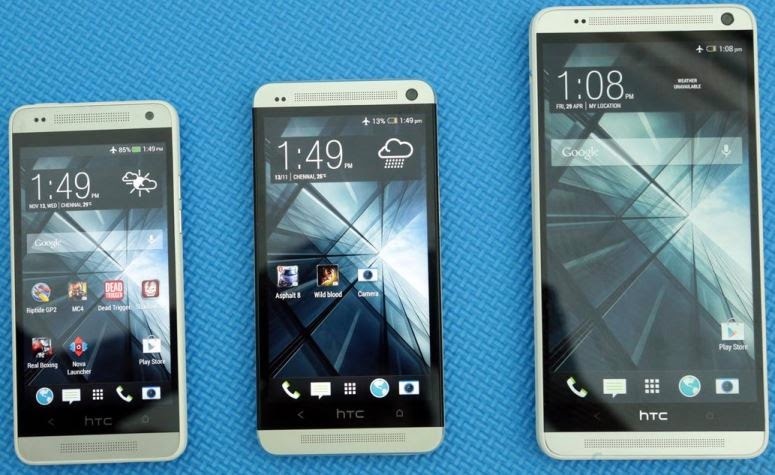 Evleaks released new details about HTC's M8 yesterday as they suggest HTC's newest flagship phone is rumored to be called the One+. According to Mike1986, a popular ROM developer on XDA (who regularly obtains leaked HTC software builds) we now have some additional info on what we can expect from the HTC One follow-up. HTC One+ it will have a 4.9-5.0 inch Full HD display and a Snapdragon 805 processor under the hood alongside speedier 2GB DDR3 RAM. Another interesting point is the camera. There will be a 6MP or 8MP camera with double lens on the back which is rumored to be exchangeable. Double lens doesn’t means 3D recording here, it will increase dynamic range and improve picture quality as well. A 2.1MP front camera complete the shooting game with 2,900 mAh battery, a microSD card slot and NFC. On the software side, we can expect the One+ to have Android 4.4 Kit-Kat out of the box, overlaid with HTC Sense 6. Another interesting fact is that the One+ is rumored to not have any physical buttons, with all of the Android interaction taking place on screen, like the Nexus series. As always, these are just rumors, so don't take them as gospel just yet. The One+ is speculated to make its debut at Mobile World Congress, from February 24-27 in Barcelona. Don’t forget if HTC once again goes the Google Play edition route, we might have one heck of a Nexus killer on our hands.